Back in 1983 I was a footloose and fancy free young man, probably hobbled by longish hair and a love of the musical genre called ‘Progressive’. In an attempt to pull I would go to night clubs, shuffle my feet with little enthusiasm, and eventually return home dispirited by my evening. 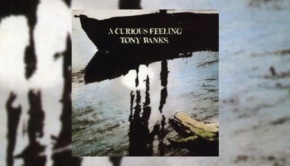 There I would seek solace in my record collection, and included (and still is) was this Tony Banks album. “This is love?”, poignant; it touched my zeitgeist (they can’t touch you for it). ￼Now repackaged with a 5.1 version of the album, how would it fare? It is of its time, heavy on the electronica, but it still has its moments. The 5.1 improves the spacial separation of the instruments giving it a slightly different edge from the original release. It hit the shops in June 1983, a few months before the eponymous Genesis album, and some hints of what was to come can be heard here. It was the first album (only album?) that Tony provided all the vocals for, cruelly he places his voice in a register between Neil Tennant (Pet Shop Boys) and Louis Armstrong, I would say that overall his voice is closer to Al Stewart/Stephen Bishop with a hint of Julian Lennon, so in reality, not that bad at all. This is Love also has some quite heavy moments indicating to me at least that perhaps some of the heavier Genesis riffs may not be the domain of Mike Rutherford. It is labelled as ‘Rock’, and with those elements of guitars, bass, and drums, not being dependent on the Banksian keyboards it does deserve to be placed in that musical genre. Perhaps it is the 5.1 mix, but the sound is less indulgent than it seemed all those years ago; a mix of short songs that don’t really stray too far from the Genesis template, but deserving of more recognition than it received at that time. 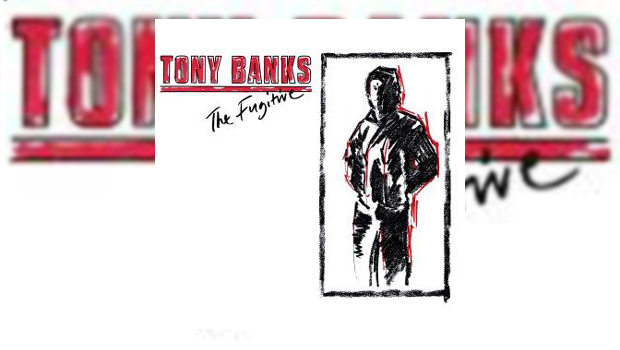 It has its moments too, the instrumentals Thirty Three’s and Charm clearly demonstrating Tony’s flair for composition. Thirty Three’s is more structured and traditional, Charm is quirky and experimental. Charm for me was the piece of choice for filling up the space on mix tapes, perhaps also showing why he was in demand for a few soundtracks around that time, sadly it’s a case of nice tunes but the wrong films. In a moment of daydreams it would have been nice to see what he would have done with Ladyhawke; nice film, very cheesy soundtrack. It was the eighties though, and instruments of the acoustic variety are noticeable by their absence which is a shame given their use by Genesis in the early days. Guitars and bass are the constants, provided by Daryl Stuermer and Mo Foster respectively; drumming comes from three sources dependant on the sound Tony was trying to achieve; Tony Beard, Steve Gadd and Andy Duncan, all renowned drummers in their own right. In the pecking order of Genesis solo albums, Tony comes last. Unjustly, but last nonetheless. 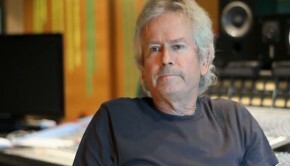 With compositions on a par with erstwhile members Anthony Phillips and Steve Hackett he deserves more recognition. Taken out of the band, had he been the leaver rather than any other member, the sound that was/is Genesis would have been lacking. Mike Rutherford and Phil Collins have produced some great pop singles and albums, but that sound, the central core is Tony, and the 5.1 mix of this album really does reveal that. Soppy and sentimental? Probably, but he can rock when he wants, and with a significant edge; when pop-like the tunes have enough complication or depth to raise them above chart material, and perhaps that is the problem. They are tunes that require a listen rather than being 3-minute background noise, the hooks are there but are not in your face. Tony’s Al Stewart/Julian Lennon voice is fine, likeable even, but like Julian, Tony’s output is lost in the beast that is Genesis (John being Julian’s shadow caster). The video of This is Love is a fun if historic item, it is okay and contains the ubiquitous iguana that appeared in so many video’s of the era; the iguana is believed to have retired to the Galapagos Islands with a hefty pension. Warning: it also contains that rare sighting of a laughing Tony Banks. Rumours of grumpiness may be overstated. I like this album, but some of that is down to nostalgia. The 5.1 mix is revealing and to my lugholes, enhancing. It deserves better, though of Tony’s solo output I prefer A Curious Feeling. The package is nice in its booklet form, and has sleeve notes from Mr Banks. It reveals where some of the structure of the Genesis album came from a few months later. Your options are then, buy this or buy the A Chord Too Far box set. Hard choice but yours to make.